Meet BHM experts at the following events, trade shows and exhibitions. We look forward to your visit to the BHM exhibition stand. Earth and piling works at the construction site of the PM19 at Mondi SCP in Ruzomberok (SVK) are almost completed. More than 1200 piles have to be installed. Works on the foundation have also begun. In all almost 200,000 m³ of soil have to be carried away. Despite of a tough winter with snow and icy temperatures works are progressing as planned. BHM INGENIEURE provides overall design and site management. Start-up of the PM19 is expected towards the end of 2020. It has an annual capacity of 300,000 tons and will produce a new containerboard grade (kraft top white) that combines virgin and recycled fibres. Palm Paper Ltd. is expanding its site in King's Lynn, UK. In addition to the existing paper mill, a fully automatic waste paper sorting plant is currently being built. At the beginning of the year, construction for the buildings with a footprint of approx. 8,000m² began. After completed permit planning BHM INGENIEURE was also commissioned with the entire detail design and construction supervision. In the fully automatic sorting plant with direct connection to the stock preparation of the paper machine, separately collected mixed waste paper is sorted from various collection points. The sorted deinking raw material is fed directly to the stock preparation process for paper production. The separated cardboard and corrugated cardboard packaging material will be delivered to other paper mills in the United Kingdom and Europe for further recycling. Palm Paper Ltd. operates the world's largest newsprint paper mill in King's Lynn. The site is growing steadily. Only in spring 2018 a power plant with a gas and steam turbine (CCGT plant) was put into operation, which supplies the mill with electricity and heat. The overall design services for the power plant were also provided by BHM INGENIEURE. Things rise up high at the site of the PM2 at Hamburger Rieger in Spremberg, Germany. The first prefabricated elements have been set up. The 26 meter columns made of reinforced concrete make up the framework for the new paper machine hall. Further civil works will be done for material processing, roll storage and offices among others. The PM2 will produce white and brown corrugated base papers (testliner). BHM INGENIEURE provides overall design and site management services for this project. The construction of the 2nd full integrated tissue manufacturing facility from Sofidel America Corp. in Inola/Oklahoma is progressing well. BHM INGENIEURE is acting in this project as owner´s engineer as well as lead of owner’s construction management team. The construction volume is comprised of approx. 1,800,000 sqft of buildings on a 216 acres site. Projected completion is mid-2020. BHM INGENIEURE has been awarded with another contract by Suedzucker AG. Europe’s Number 1 in sugar production will expand the facilities for loading glucose at their site in Zeitz. BHM will do the general design. Besides the sugar production Suedzucker is also running a wheat starch factory in Zeitz that was designed by BHM, as well as a bioethanol plant and a CO2 liquefaction plant. Laakirchen Papier AG will expand their paper mill in Upper Austria. They have given order to BHM INGENIEURE for general design of a larger automatic roll storage. Laakirchen Papier belongs to the Heinzel group and specializes in the production of supercalendered paper for magazines or advertising material as well as light weight containerboard. Hungarian tissue manufacturer Vajda Papir Kft. celebrated the inauguration of its first fully integrated tissue mill in Dunafoldvar / Hungary on Friday November 9th, 2018. The project, which is currently the most modern of its kind in Hungary, contains a tissue machine with an annual capacity of up to 40,000 tons and several converting lines. The plot with approximately 180,000m² allows for a future expansion of the plant. Learn more about Vajda Papir and the project in this video. After preparations were completed the construction phase for the PM2 at Hamburger Rieger in Spremberg has started. BHM INGENIEURE provides overall design and site management services. The PM2 will produce white and brown corrugated base papers (testliner) based on 100% recycled paper. With a width of 7.80 metres, the machine has a capacity of 500,000 tons per year. Commissioning of the new plant is scheduled for summer 2020. Arkhbum Tissue Group LLC (ATG) is currently constructing the most modern Tissue manufacturing facility in Russia at the industrial park “Vorsino” located in Kaluga region. The plant is a fully integrated tissue mill and will have in phase 1 a tissue machine with an annual capacity of 70,000 tons and several converting lines. The start-up is scheduled for 2019. SOFIDEL GROUP inaugurated their first greenfield tissue manufacturing facility in the USA, in Circleville, Ohio, on October 3rd 2018. It´s the largest, most modern and most sustainable to date integrated tissue mill of the Sofidel Group including two tissue machines with an annual production capacity of 140,000 tons. BHM INGENIERURE was responsible for project management, design and tendering of construction works, building services and infrastructure. The buildings of the plant have a total footprint of approximately 1.6 million square feet (150,000 m²) equipped with the latest technology concerning tissue paper production, converting and logistics. The plot has a size of 280 acres. The period from start of building construction until start-up of the full plant was 24 months only. Sofidel is currently building another greenfield facility in Inola, Oklahoma, that has an annual capacity of approximately 120,000 tons. BHM provides consulting, design and site management services. Tissue World Milan, the world's largest dedicated tissue industry trade show, will take part in Milan from 25th to 27th March 2019. We would appreciate to welcome you at our booth E670 in hall 3. 12.2018: Merry Christmas and a happy new year! and also some time to relax and gather strength for a successfull 2019! Our office will be closed from December 22nd to January 6th due to our christmas holidays. We will be back on January 7th 2019. Mondi Syktyvkar (RUS) builds two new pulp tanks at their pulp and paper facility. They have awarded a contract to BHM INGENIEURE for the civil engineering of the tanks‘ foundation. The tanks have a capacity of 10,000 and 6,000 cubic meters and a height of 51 and 41 meters. Pile construction and concrete works were carried out during Russian winter from December to March. Just for the bigger tank the foundation has to support up to 10.800 tons. It’s thickness is 3 meters and it is supported by 90 piles of 20 meters length. InnoTrans 2018, the international trade fair for transport technology, innovative compontens, vehicles and systems will take part in Berlin from 18th to 21st September 2018. We would appreciate to welcome you at our booth 310 in hall 21. BHM INGENIEURE has gone into the final round of their project for the SBB Swiss Federal Railways in Olten, 30 minutes out of Basel. Trains have already been moved into the new maintenance facility for commissioning. Now SBB can do maintenance on multiple rail cars simultaneously on three rail tracks of 500 feet each in this workshop. That results in an impressive increase of efficiency. BHM is in charge of the overall design. Construction works were carried out during full operation of the adjacent Olten facilities. A picture showing the progress of mass earth works on the construction site in Inola, Oklahoma (USA), in May 2018 reveals the scale of the project. BHM INGENIEURE supports the Sofidel Group with consulting, design and site management services in the construction of a full integrated tissue manufacturing facility that has an annual capacity of approximately 120,000 metric tons. The plot has a size of 240 acres. In March 2018, Hamburger Rieger GmbH has started the scheduled construction of its second paper machine at its Spremberg location. BHM is responsible for the overall planning and design and site management services. Click here for the press release of Hamburger Containerboard. BHM INGENIEURE received order for design- and consulting services from Sofidel Group for their 2nd greenfield tissue project in USA. The Sofidel Group announced on March 16th, 2018 a $ 360 million capital investment for their 2nd fully integrated greenfield tissue paper manufacturing facility in Inola / Rogers County / Oklahoma. The plant will have a production capacity of 120,000 metric tons of tissue paper. The plot is approx. 240 acres. The footprint of all buildings will be approx. 1.8 million-square-feed (180,000 m²). The plant is expected to be operational by 2020. BHM INGENIEURE performed already design- and consulting services for the Sofidel Group concerning their first greenfield tissue mill project in Circleville / Ohio, as well as for several other projects in Europe. BHM INGENIEURE is proud that the Sofidel Group decided to continue the cooperation with BHM INGENIEURE also in this new lare scale project. BHM INGENIEURE is an Austrian based engineering and consulting firm specialised in developing and designing paper mills, complex industrial plants and manufacturing facilities. BHM INGENIEURE provides project management, procurement support, architectural design, structural design, civil work design, dynamic analysis, MEP engineering, fire-protection engineering, intra logistic studies and construct management services. The ground breaking ceremony took place on Friday, March 16th, 2018, at Public Service Company of Oklahoma's Inola River Rail Industrial Site. Among the attendees were Governor Mary Fallin and CEO Sofidel Group Luigi Lazzareschi, as well as representatives from PSO, the Tulsa Regional Chamber, Rogers County and the City of Inola. and health, happiness and success in the New Year 2018! Our office will be closed from 23.12.2017 to 07.01.2018 due to our christmas holidays. We will be back on 08.01.2018. Dunapack is investing in the expansion of the warehouse at their existing site. BHM INGENIEURE is responsible for the overall planning and design. Click here for the article “Fibers in Process”. Smurfit Kappa is expanding its energy supply at its site in Nettingsdorf. In the framework of the FEP project (Future Energy Plant) a liquor recovery boiler with steam turbine are being built. The plant will become operational in 2020/22. BHM INGENIEURE is responsible for overall planning and design including technical building, fire protection and site supervision services. Vajda Papir Kft. establishes a new production site in Dunaföldvár. The factory comprises a waste paper and chemical pulp deposit, as well as a paper machine with a capacity of 30−35,000 t/a. It accommodates stock preparation, jumbo roll storage, converting hall and warehouse. Construction started in May 2017. The first paper will be produced during the first quarter of 2018. BHM INGENIEURE is responsible for the master planning as well as the detailed and the construction design of the TM hall. KPB is making structural alterations to PM2 at the site in St. Petersburg. BHM INGENIEURE was entrusted with different preliminary tasks and will be responsible for the civil engineering and site supervision services of this project. WEPA is further expanding its production facilities at its Polish site in Piechowice. The newest TISSUE line includes a waste paper and chemical pulp depot, a paper machine hall with integrated stock preparation, a paper machine with a capacity of 30−35,000 t/a, a jumbo roll storage as well as the corresponding outdoor facilities. The first paper was on put on reel in early February 2017 − congratulations! BHM INGENIEURE was responsible for the overall construction planning and design, that is to say project management and all the technical planning and design services including site supervision. The load-bearing structure and building shell of the production facilities have been finished off to a large extent. The assembly of the overhead crane was carried out successfully. All in all, the project is developing well. You can find a report and impressive photographs at Olteneinfach.ch. BHM INGENIEURE was responsible for the site development and layout planning and for the detailed and construction design of the PM foundation. For all the other planning and construction matters, BHM INGENIEURE provided technical consultancy services. The project comprises a 2.80 m broad tissue machine. The services provided by BHM INGENIEURE included site development, overall layout as well as detail and construction design for the PM hall. This low-cast-project was launched in spring 2017. For the fourth time, BHM INGENIEURE will be at the TECONOMY career fair at TU Graz. Visit us on May 4, 2017 at tent number 2, booth 77! We look forward to interesting talks with you! At the following further career fairs, we are happy to inform you personally about job opportunities at BHM INGENIEURE. BHM INGENIEURE was represented at Tissue World trade fair in Milan from 10 to 12 April 2016. The international trade fair, focused on the tissue industry provides a venue and platform for trade professionals from all across the globe. The next Tissue World in Milan will take place from 25 to 27 March 2019. BHM INGENIEURE was represented at the Tissue World fair from April 10 to 12, 2017. The international fair for the Tissue Industry is a meeting point and platform for technical audience from all over the world. The next Tissue World in Milan will take place from March 25 to March 27, 2019. Tissue World Milan, the world's largest dedicated tissue industry trade show will take part in Milan from 10th to 12th April 2017. We would appreciate to welcome you at our booth E600 in hall 3. HERE you can obtain your personalticket free of charge. Vorarlberg Milch processes milk supplied by some 500 farmers at its location in Feldkirch/Gisingen. The positive development requires an expansion of the production area and storage capacities. Among other measures, the project comprises the expansion of the cheese cellar, the installation of a new rack-supported storage system as well as the development of a new concept and the expansion of the cheese packaging facility. BHM INGENIEURE is responsible for all civil engineering services. This includes building, technical building services, fire protection engineering and infrastructure services. BHM INGENIEURE supports the parent company Delfort by providing consultancy and design services. The expansion of the site in Hungary includes a PM hall for rotary cutters as well as a wastewater treatment plant. In its role as Owner’s Engineer, BHM INGENIEURE is responsible for all engineering matters. Palm invests in combined cycle gas turbines at its production site in King’s Lynn in the southeast of Great Britain. The generation of their own steam and power is aimed at optimising the paper production. The plant is scheduled to enter into operation in spring 2018. BHM INGENIEURE is responsible for the overall planning and design and site supervision services. The Rellswerk plant, which is designed as a pumped storage plant, uses the discharge and energy of the upper Rellsbach River in the Luenerseewerk plant. The plant operator Obere Ill-Luenersee of Vorarlberger Illwerke thereby implemented another optimisation measure. The machine group has a pumping capacity of 15 MW and a turbine bottleneck capacity of 12 MW. The powerhouse is located in a red zone and is completely underground. BHM INGENIEURE was responsible for civil, building, fire protection and mechanical engineering services. ZEK-Hydro released an article about the Rellswerk plant in their February newsletter. A system malfunction at cutter 2 resulted in a fire that had significant impact on the building. BHM INGENIEURE immediately carried out an analysis on site and assessed the damage. Rehabilitation measures were planned and organised to be implemented based on the results of the analysis. Within a few weeks only, the roof trusses were exchanged, 1,200 m2 of roof were reinstalled and the crane track and the indoor crane were exchanged. The works were carried out during operation of the plant. BHM INGENIEURE was responsible for planning and implementing the rehabilitation measures. 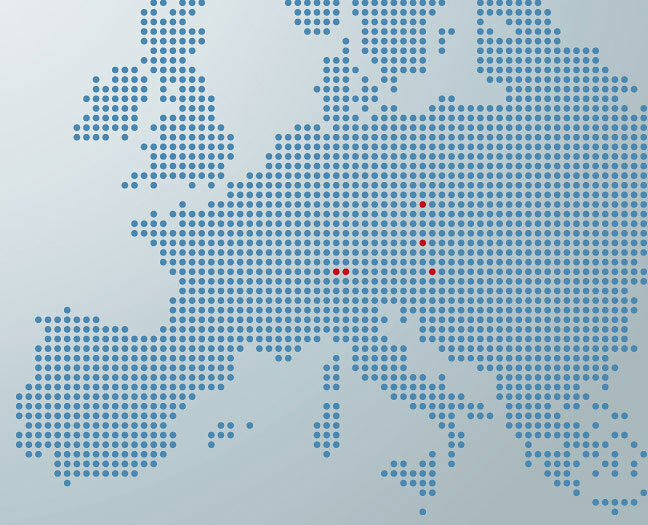 At their locations in Lenzing and Heiligenkreuz an ambitious investment program is currently being implemented. In line with the group strategy, existing pants will be upgraded for increased capacities. BHM INGENIEURE was awarded a contract as general consultant for the construction works. PM 1 will be converted and expanded to allow for the desired increase in speed. The new requirements must be supported and covered by the existing machine foundations. Based on vibration measurements carried out at the foundation segments concerned, BHM INGENIEURE conducted structural analyses and corresponding vibration calculations (dynamics). The required construction measures were carried out in close coordination with the persons responsible for the general plant construction before as well as during the downtime of the machine. BHM INGENIEURE is responsible for all measurements on site, for finding solutions and workable implementation including construction supervision. We wish you a reflective and restful Christmas season and health, happiness and success in the New Year 2017. Schoellerhammer constructed a new product line at its Dueren site, consisting of waste paper storage, stock preparation, PM hall with administrations building, reel storage and shipping station. The project is complemented by the construction of a new access road to the plant as well as a wastewater plant. BHM INGENIEURE was responsible for the overall design services regarding building, building technology, fire protection and outdoor facilities/infrastructure services. The implementation in compliance with the contract was secured by the site supervision services carried out by BHM. Schoellerhammer broadcasted a video about the construction progress on its website. The use of electric busses is being tested in the city of Graz. In case of a positive outcome, the buses are scheduled to enter into regular service in the course of 2017. BHM INGENIEURE is responsible for the overall design of the quick charge stations including site supervision services. With some 8,000 employees, the Röchling-Gruppe generates a yearly turnover of 1.7 billion euros. At the Oepping site in Upper Austria, the plastic company Röchling Leripa Papertech places a major focus on paper, agriculture and water. With a expansion of the plant by 4,800 m2, new opportunities were created for research, development and innovation. BHM INGENIEURE was responsible for the overall planning and design of the entire design chain, from conceptional design to site supervision and handover. Due to the massive increase in the amount of ecological flow required to be discharged into the Enns River bed, the extension of the Thurnsdorf weir became necessary. BHM INGENIEURE Linz was responsible for the design services. The construction of the intake structure for the powerhouse whilst impounding approx. 3 million m3 water in the Thaling dam turned out to be a particular challenge. An article on this topic was published in the October edition of zekHYDRO. For more information, please follow this link. The expansion will include the extension of PM 11 and the construction of a new recycling paper store as well as a new stock preparation plant. Existing buildings and infrastructure will be expanded as part of the project. BHM INGENIEURE is responsible for the overall building design, including site supervision. SBB upgrades and expands its site in Olten. The new construction comprises a new workshop hall including three tracks with a total lengh of approx. 200 m.
The project will be implemented without interrupting operation. BHM INGENIEURE is responsible for the civil and mechanical engineering design. The Heinzel Group invests EUR 100 million in the expansion and conversion of its paper mill site in Laakirchen. PM10 will be converted to produce lightweight corrugated base paper based on recycling paper, for the Group to remain competitive. The production of supercalendered paper for magazines and catalogues is planned to be expanded to 800,000 tons. BHM INGENIEURE is responsible for the building design. InnoTrans 2016, the international trade fair for transport technology, innovative compontens, vehicles and systems will take part in Berlin from 20th to 23rd September 2016. We would appreciate to welcome you at our booth 310 in hall 21b. Delfort develops new paper solutions for its clients. To this end, the company will expand its Traun site. BHM is responsible for the overall building design. The regional newspaper OÖ Nachrichten reported on this new development in its edition dated 19 August 2016. On July 11, 2016 Sofidel Group, one of the word's leading manufactures of tissue paper for hygiene and domestic use, broke ground on its new 1.95 million-square-foot facility in Circleville, Ohio. The Circleville facility will be Sofidel's sixth manufacutring site in the U.S. and the company's first U.S. greenfield project. "Today, we celebrate the commencement of construction of the first Sofidel integrated paper mill to be built from the ground up in the United States", said Sofidel CEO Luigi Lazzareschi. "It's goint to be a very big project for us". US President Barack Obama himself recently mentioned this project at SelectUSA Summit in Washington D.C.: "... that wil create hundreds of jobs in a part of american Midwest that needs them. It will be the largest private sector investment in Circleville in decades ..."
BHM ENGINEERING & CONSULTING is responsible for project management, design and tendering of construction works, building, building services and infrastructure. The Circleville plant is expected to become operational by 2018. For the third time already, BHM INGENIEURE was represented at the career fair at Graz University of Technology, engaging in interesting conversations with lots of students, most of whom were prospective engineers. We were especially delighted to welcome some of our interns at the BHM stand. “Chancenland Vorarlberg” had invited us to join a network meeting for engineering students from Vorarlberg, held at the Gösser Bräu restaurant on the eve of the fair. Together with ten other company representatives and the organisers of Wirtschafts-Standort Vorarlberg (WISTO), we had plenty of opportunities to network with students from Vorarlberg in a relaxed atmosphere. The Heiterwang power plant is a pumped storage plant in the Ausserfern region of the Tyrol, operated by Elektrizitätswerke Reutte (EWR). The plant, which was first put into operation in 1977, is fed from an upper reservoir with a storage capacity of approx. 1.3 million m3 of water, the Rotlech reservoir. In the framework of upgrading the dam to meet state-of-the-art standards in accordance with the requirements of the Austrian Committee for Storage Reservoirs, the dam was equipped with a second bottom outlet gate. BHM INGENIEURE was assigned to provide the respective engineering services. A newspaper article published in the zeKHYDRO journal can be found here. BHM INGENIEURE performs the permit application design for the RENIL project of Heinzel Paper at the Laakirchen location. The new converting pant of Swedish Tissue was successfully put into operation and is today the most automated production site of the Sofidel Group. BHM was responsible for the overall planning and design including site supervision for the expansion of the Swedish plant in Kisa. For details, please refer to press release of Sofidel. Zementwerk Hatschek - a company of the Rohrdorfer Group - modernise the plant in Gmunden. BHM INGENIEURE is responsible for the permit application design. The Italian Sofidel Group is establishing a new tissue production plant in Circleville (US State of Ohio). The factory ground will comprise 1.3 million m2. The plant is expected to enter into production in 2017. BHM was entrusted with the overall planning and design for this greenfield project. For further details, please refer to the press releases of Sofidel and Tappi. Hirschmann Automotive is expanding its plant in Kenitra (Morocco). BHM INGENIEURE is responsible for the overall planning and design including site supervision. The WEPA Group is investing in the expansion of the Piechowice site in Poland. The new tissue paper machine has an overall capacity of 32,000 t/a. BHM INGENIEURE was commissioned with the civil engineering services for the new buildings. With FOODBOARD, Mayr-Melnhof Karton has developed a new, high-quality coated recycled board suited for safe use in primary food packaging. The production required a complete adaptation of the coating section of board machine 3, reinforcement of the foundations and the construction of various ancillary facilities in the Frohnleiten plant. BHM INGENIEURE was responsible for the civil design of the adaption of the board machine (drying/processing), the industrial siding and the outdoor installations. The new Rothleiten power plant at the Mur River is a replacement construction for the diversion power plant put into operation in 1925, which, with regard to its weir and electromechanical equipment, had reached the end of its life cycle. The new station was completed within a construction period of 1.5 only and generates four times as much electricity. BHM was responsible for the overall planning and design including site supervision. BHM INGENIEURE was responsible for the permit application design, tender design and site supervision for the LIDL greenfield project, south of Graz. The most modern and sustainable LIDL logistics centre in Europe was awarded a Pre-Certificate in Gold by the Austrian Sustainable Building Council (ÖGNI) and supplies approximately 60 branches in Styria, Carinthia and the south of Burgenland. BHM makes every effort to ensure that the information and data contained in its website are correct. We do not accept any liability for or guarantee that the information provided is up to date, correct and complete. This applies analogously to all other website which are referred to in a hyperlink. BHM cannot be held responsible for the content of such websites, which are accessed through such a connection. BHM reserves the right to change or add available information or data without notice. Each BHM firm is a separate legal entity and has no liability for another such entity's acts or omissions. Certain content on this site may have been prepared by one or more BHM firms. All rights reserved. All texts, images, graphics and other content used on the website and protectable by copyright are subject to the relevant national copyright acts and other acts for the protection of intellectual property. In particular the permanent storing, passing on, processing or alteration of protected content and its use or exploitation for other websites or media are not permitted.